Peters work initially comes across as other worldly. But it is rooted in history and has a strong connection to the wilder aspects of the British landscape which reminds us that the fantastical world we are presented with is also our own. The etchings he makes are beautifully illustrative and often contain a broad range of tonal depth. They are both enchanting and show scenes that are ever so slightly mysterious that can only leave us wanting more. 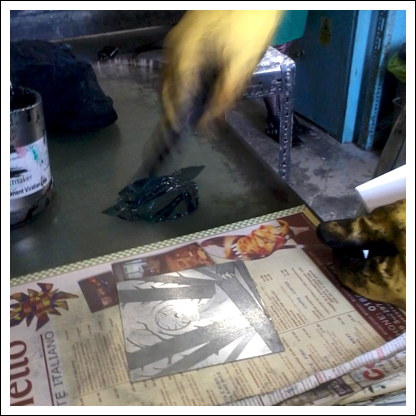 When not turning the cogs of the studios' etching press he gives regular updates of his working practice from his blog.